CES 2011: Monitor Audio unveils GX speaker range | What Hi-Fi? • Selected premium quality wood veneers or high gloss piano finishes. We'll be reviewing them as soon as we can, so keep an eye out in the magazine and online. 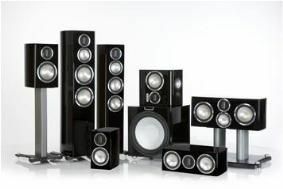 You'll also be able to see and hear the new GX range at the Bristol Sound & Vision show next month.